Lou was born and raised in Chicago and came to Christ in 1972. Shortly after he came to faith, he felt the calling of God into full time ministry. After graduating from University in 1980 he began teaching in Christian Schools and while he enjoyed teaching, he loved students; developing relationships with them and encouraging them in their relationship with Jesus. It was during this time, while teaching school and volunteering in the Youth Group at Northwest Bible Church that Lou met Stew Armstrong. In the early 1990’s, it became clear that the time had come for Lou and Sara to attend Dallas Theological Seminary, and after graduating he went into Youth Ministry in Evansville Indiana, developing relationships with students and adults to lead them into discipleship. 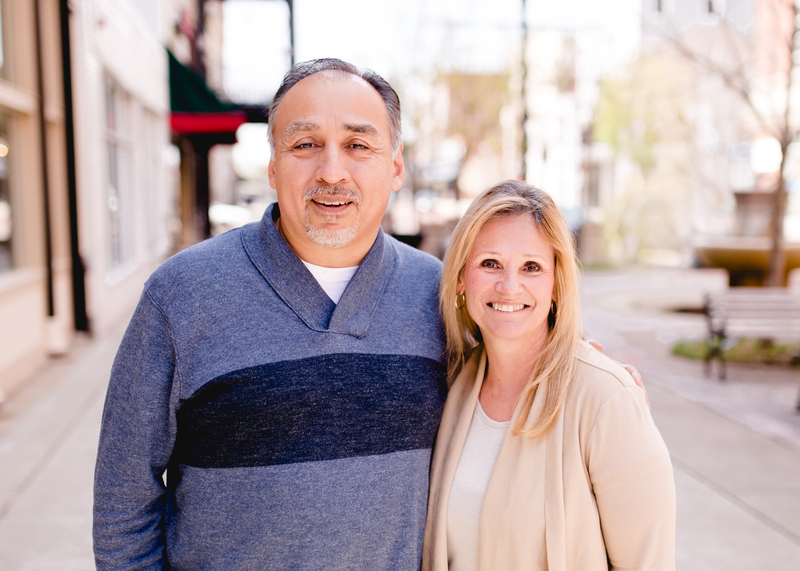 In 2005 Lou took the position of Senior Pastor in Northwest Indiana and served there for 11 years, preaching, teaching, discipling a congregation and when the time came to follow the Lord’s leading to the next ministry, it became abundantly clear that he was calling he and Sara back home to Evansville, Indiana and Encounter Church. Lou and Sara have been married since 1983 and have four grown Children: Andy, Kady, Emily and Danny. They have four grandchildren: Bella, Hudson, Theo and Alice. From Lou: I am simply a Christ follower, who loves Jesus and understands that I desperately needed the Gospel for salvation and desperately need the Gospel every day of my life. I love developing relationships with people to lead them into relationship with Jesus and discipleship in the Christian life. Favorite Food: Authentic Mexican food and Chicago style pizza. Favorite thing to do: Dating Sara Rodriguez, Doing home projects around the house and watching Chicago sports. It is a privilege to serve at Encounter Church!